It’s obvious that social media will continue to have a significant impact in 2014 on marketers and business owners: They now have the ability to reach out and communicate on a personal level with their target audience on a daily basis. This is a game changer for businesses engaging in marketing, sales, customer service and other business activities. This is very powerful and has never been available with traditional marketing! The success gap is widening between businesses that are using social media in an informal, ad hoc manner and those taking a more planned, strategic approach. Businesses that use social media strategically are more satisfied with the results than ad hoc users, who are more skeptical about the value of social media. Businesses that use social media as part of a planned corporate approach are 1.5 to 2 times more likely to anticipate revenue growth than ad hoc users. Much has changed over the last year in social media, and it will continue to change in 2014. Here are my Best Tips for Successful Social Media and Digital Marketing in 2014. Facebook usage is highest in North America: Facebook has 59% of all Internet users in North America as active users. 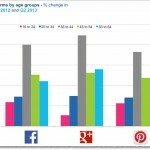 Google+ only achieves 15% and Twitter 25%. Google+ is now the second largest social network at just over 50%, with Facebook still dominating at 70%. Keep in mind that a Google+ account is mandatory whenever a person creates a new Gmail account. This is pushing up the account ownership stats. But no other social network has Google’s web assets leverage. Read more on how important Google+ is for Your Business and how it has a major impact on search engine results for your biz. YouTube is more popular than cable television: YouTube reaches more adults than any cable network. In the United States, the number of people who watch television has fallen behind the number of people who watch YouTube on a regular basis. This makes it clear that televised content is undergoing a decline, online consumption of video is on the incline. Many companies have taken advantage of this by releasing their ads or marketing campaigns on YouTube first before they debut on TV. Take many of the 2014 Super Bowl XLVIII ads (like Budweiser) that were released on YouTube before the big game and were rewarded with triple YouTube views. LinkedIn is still the largest professional business network and continues to grow but not at the pace of Pinterest,Google+ or Twitter. Here are some numbers from Visual.ly. Pinterest is the fastest growing social network right now. The visual web is driving the rise of Pinterest and Tumblr with growth rates of 88% and 74% respectively over the last 12 months. Pinterest is also one of the leading referral sources for organic traffic, which is a good for high search rankings. 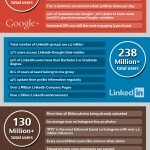 Some social media networks have a more active user-base than others. Statistical research has revealed that more than 95% of Facebook users log into their account every day. That number for Twitter is 60% and for LinkedIn is 30%. Look at this useful information on demographics of key social networking platforms from Pew Internet Social Media Update 2013. 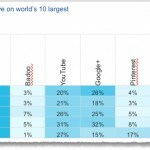 What are 2 key factors driving the social web in 2013 and 2014? Mobile – the number of people accessing the Internet via a mobile phone increased by 60.3% to 818.4 million in the last 2 years. In the USA, there are now 101 million daily mobile users. Facebook’s 101 million US daily mobile users make up a whopping 78% of its 128 million daily US users. Older user adoption – On Twitter the 55-64 year age bracket is the fastest growing demographic with 79% growth rate since 2012. The fastest growing demographic on Facebook’s and Google+’s networks are the 45 to 54 year age bracket at 46% and 56% respectively. So maybe that’s the reason your parents and grandparents aren’t visiting that much anymore — they are too busy on Facebook and Twitter! I absolutely agree with this, and hear it first hand from many of my clients. But these challenges can be overcome, if social media is planned and done strategically! 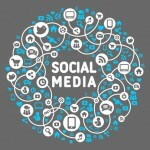 Social Media Channels – Which One to Choose?? And of course, blogging is key! Here are some tips to generating great online content to feed your social media networks! Sharing is Caring! If you want to find out a little more about social networking sites, visit socialnetworkguides.com. I know this sounds basic, but make sure your website, blog and email newsletter include social “share” buttons for people to easily share your content on ALL their social networks. Add your social network links on your email signature. So, What Will Social Media Do For Your Business? 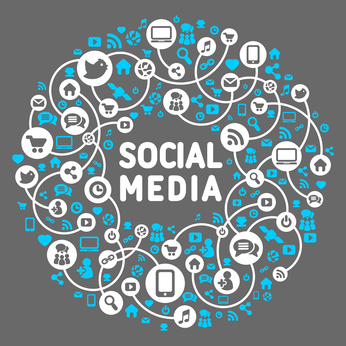 Social media definitely needs to be part of your marketing mix in 2014! Please don’t hesitate to contact me to get you started! Sign up HERE to get my blogs directly to your inbox! A Great blog, Everything is explained in the detailed and easy to understand manner. Social media is both beneficial for individual and business, for a person it gives option to network and learn things while businesses can gain new customers through social media sites. Thanks so much for your comments! I’m so glad you found the blog useful and informative. If you want, you can sign up to get my blogs regularly at https://ymarketingmatters.com/subscribe. Very good information that i read from your site about social media importance.. Thanks..
Hey Naomi, thanks so much for your comments and input. So glad you found it useful. Yes, agree about #2!